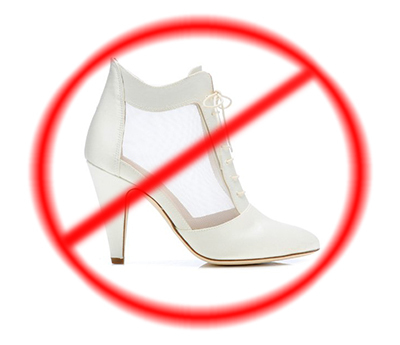 We don't want BRIDAL SHOES. We much prefer the regular variety. I like the flats in the collection, but the heel variety are gag-inducing. how did i miss this post? blerg, these are NOT COOL. Who would want these things AT ALL??!?!? !